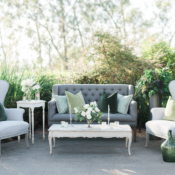 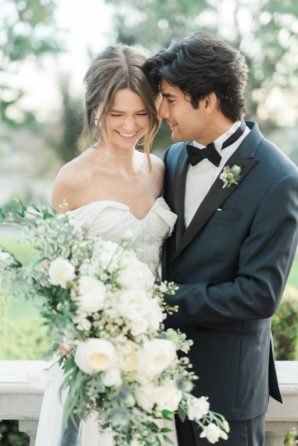 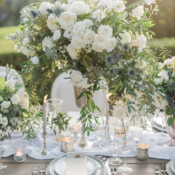 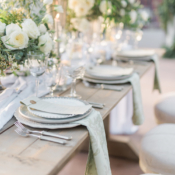 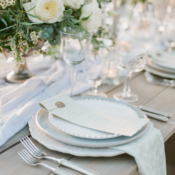 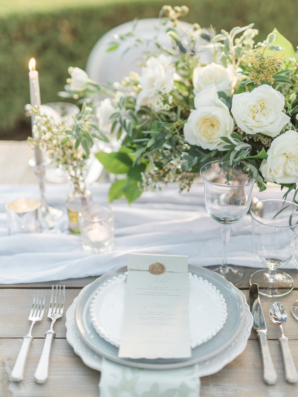 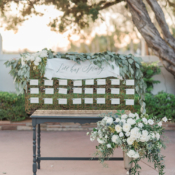 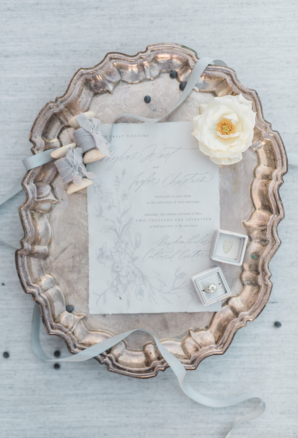 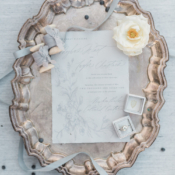 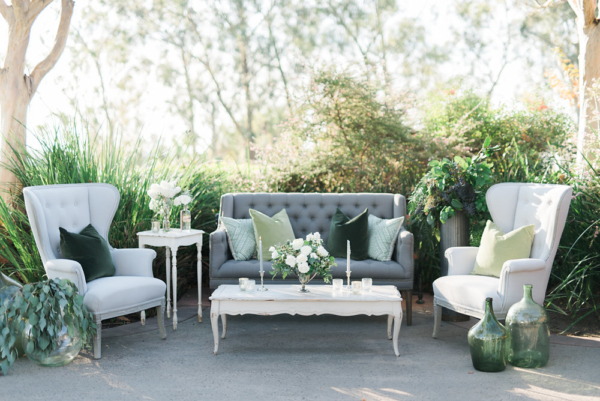 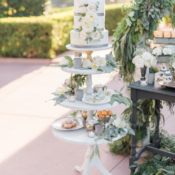 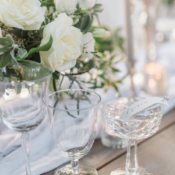 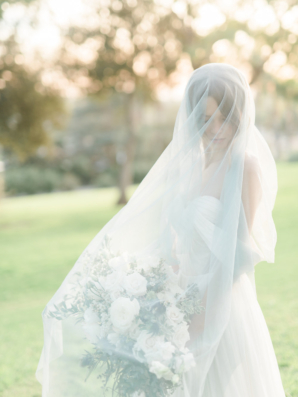 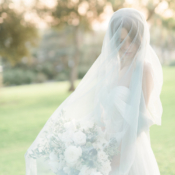 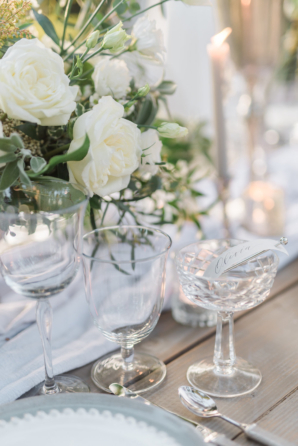 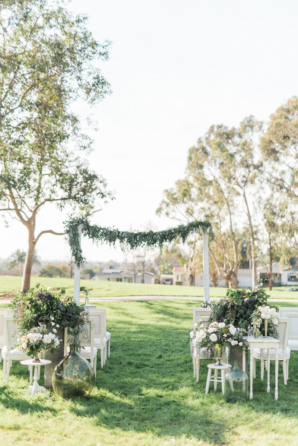 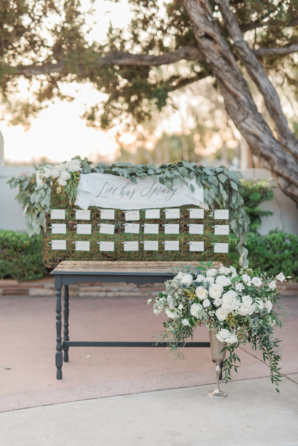 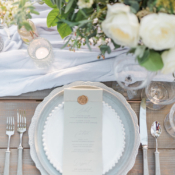 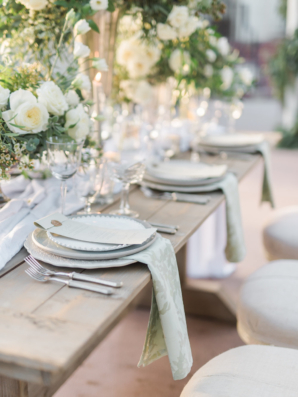 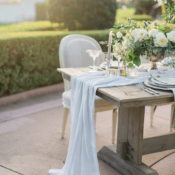 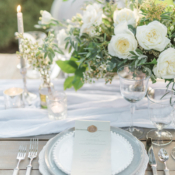 With a soft color palette of sage, dusty blue, and gray and a setting reminiscent of classic European splendor, this elegant and timeless inspiration shoot styled by Louise & Third Events evokes feelings of romance! 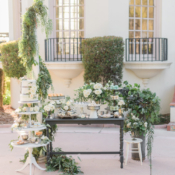 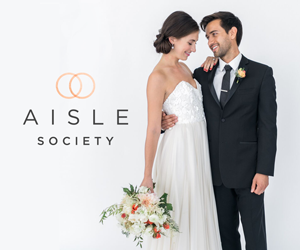 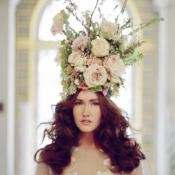 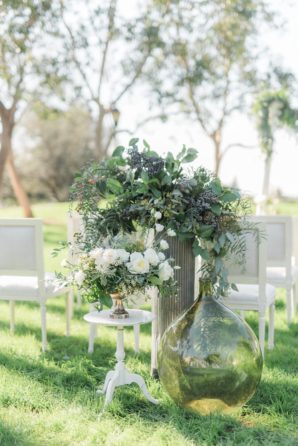 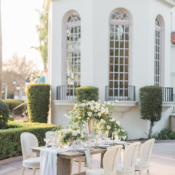 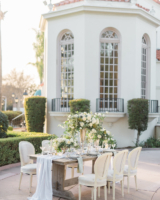 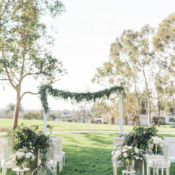 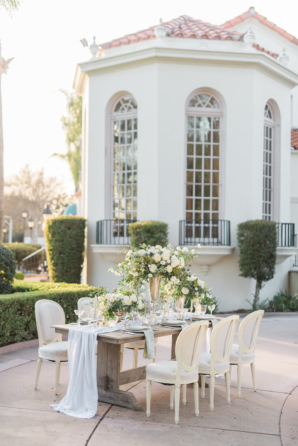 The team effortlessly mixed vintage ambiance—adding furniture from Sweet Salvage Rentals and antique tarnished urns and trophies to house the lush floral arrangements—with modern touches such as the showstopping asymmetrical bouquet by Rebelle Fleurs Event Design. 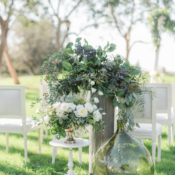 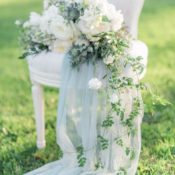 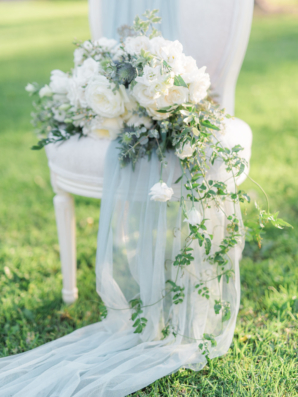 Jasmine vine, lisianthus, blackberries, and garden roses added a lovely texture, and sage and eucalyptus echoed the soft palette of grays and greens. 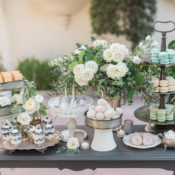 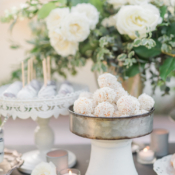 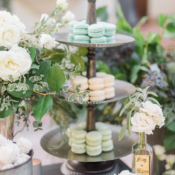 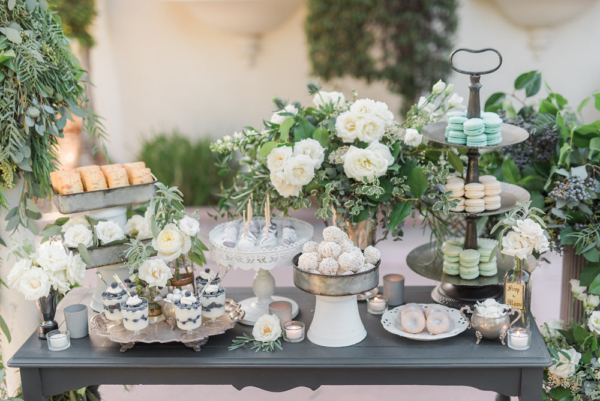 And dessert lovers rejoice because we are completely smitten with the decadent sweets table crafted by The Sugar Philosophers featuring towering trays of macarons, mini donuts, and parfaits. 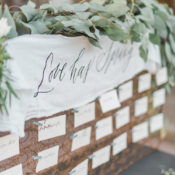 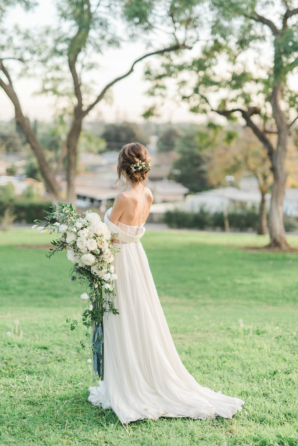 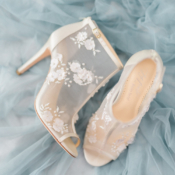 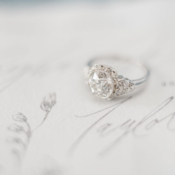 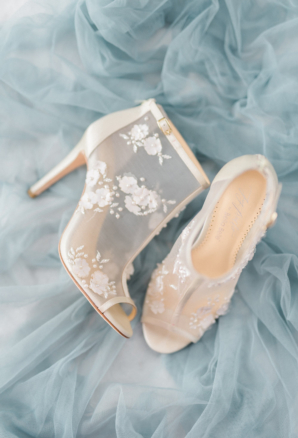 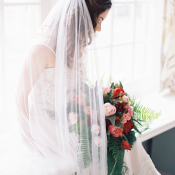 From sweeping calligraphy by Owl Post Calligraphy to the flowing gown by Floravere, not a detail is left unfinished in the exquisite images captured by Anya Kernes Photography!